Getting to the heart of the story. An hour into a discussion about Renewal in the Catholic Church — centered on the book by that name by Anne Hendershott and Christopher White — this was the last question asked. The woman who asked the question went on to repeat a line from Pope Francis’s impromptu press conference on the plane ride back to Rome last summer from World Youth Day in Rio, ending with his question, “Who am I to judge?” He was pointing to the fact that only God knows the intentions in a man’s heart. Although another audience member wanted to bypass the woman’s question, saying, “That wasn’t a question, that was an insult,” it might just have been the most important question of the evening. #ad#The discussion, which I moderated at the Catholic Information Center in Washington, D.C., was an open-door event, where all were welcome. And yet somehow, during the course of the discussion, in which there was definitely some joy and love, at least one person in the audience saw nothing but a door closed somewhere. In the talk about a renewal in people loving the Catholic faith, striving to be truly Catholic, the heart of the matter was missed, seen as an admonishment rather than an invitation. I immediately thought of my British friend Austen Ivereigh, co-founder of Catholic Voices, who was the first to remind me of what we all know when we stop to think about it: As television viewers, as radio listeners, as readers, we tend not to remember facts or well-reasoned arguments as much as we walk away with a feeling. The speakers may make a lot of great points, but if anyone walks away with a bad feeling about the Church, we probably weren’t the missionary disciples we are called to be. This is one of the principles of civil communications that Ivereigh outlines in his Our Sunday Visitor book How to Defend the Faith without Raising Your Voice. When we hear the word “civil” in the context of communications, we do ourselves a disservice and let ourselves off easy if we think this simply means being “nice.” It’s got to be about seeing the people in your audience — most of whom you’ll never meet — as people, as children of our Creator, as brothers and sisters. That means there’s got to be love. That can be hard when you see error, but why do you even care about the error? To win a debate or to shed light? Because you know a better way and want to share it? Pope Francis introduces himself as a sinner. He says this because if we don’t see his need for and faith in a Savior, we miss the story of mercy and hope his witness demonstrates. Pope Francis is radiating a joy to people, making them feel good, yes, but even more importantly and fundamentally opening a window to the Source of his hope and joy. He opens doors. I travel a decent amount and am forever popping into Catholic churches. And I rarely find an empty one any more. There are always people hiding in the back, or right up in the front, on their knees, giving thanks, lighting a candle, praying for help, seeking peace. People are feeling welcome. Come on in, because there is love, support, forgiveness, and hope inside. Thinking back over the panel on Renewal, it could have been a mention of supporters of legal abortion or progressives that set off the woman who asked the last question; she might have identified with the “spirit of Vatican II” and heard her interpretation being dismissed. But whatever it was, something in the discussion — which focused on the joy of young seminarians and priests, beautiful young women choosing to become nuns in 2014, the pope’s focus on the essential nature of rigorous prayer, and the sacramental relationship with God in the Christian life — was lost on at least one audience member. Being civil absolutely does not mean diluting the Gospel or Church teaching. One of the tremendous challenges of the day is the weak catechesis many have experienced in decades past and the poor Catholic witness in the public square. Pope John Paul II, Pope Benedict XVI, and Pope Francis have all urged their flock: Be not afraid. Not afraid to truly believe the Gospel. To be countercultural. To be courageous and self-sacrificial. Pope Francis is walking Catholics through an examination of conscience. Are we who we claim to be? Are we authentically living lives of Christian witness, knowing God, loving God, spending time with God in prayer and reaching out to him in his people, in the most forgotten and the weakest among us? Because if we do that, we will, every day, seek the good, bring out the good in others, encourage the good and beautiful. All too often we settle for failing to appreciate the beauty or acknowledge the pain right in front of us. Pope Francis opens doors to a faith that offers attractive, compelling answers to questions deep in the hearts of men and women. There is a common, ecumenical good here: Knowing we’re made for something more, knowing we have responsibilities toward one another and the freedoms we enjoy, makes us leaders in the renewal of our lives, families, communities, institutions, country, and culture. The cover story is the first pope from the Americas, who is capturing the attention of the world with his embrace of the sick, the wounded, the lost, the forgotten. The inside story — often missed by Rolling Stone and much of the mainstream media but accessible to all who visit news.va, where translations of the pope’s homilies are available daily — is that he invites a hardened world to proposals about life that uphold human dignity and flourishing. And a cynical media world is giving him a hearing, even as there are misunderstandings and manipulations. The pivotal moments in Christian history have everything to do with a “yes.” Leading with this — in service, sacrifice, and communications — benefits everyone. Many are cheering on Pope Francis with a “Yes!” The story isn’t this one man but the Source of his joy and the meaning of our lives. 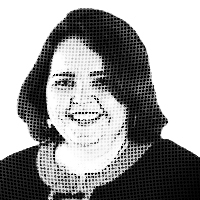 — Kathryn Jean Lopez is editor-at-large of National Review Online and founding director of Catholic Voices USA. She is also on the board of the Catholic Information Center. This column is based on one available exclusively through Andrews McMeel Universal’s Newspaper Enterprise Association.